The Sunset Inn opened its doors to the beauty of the saltwater marsh and island life in June 2000. 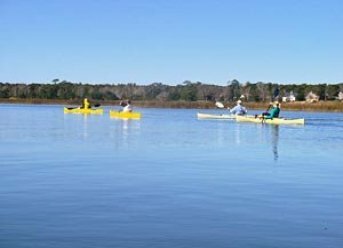 The quiet comfort of our Sunset Beach Hotel overlooks the marsh out towards the Intracoastal Waterway and is just a five minute walk to the ocean. Our picturesque island has a temperate climate without the brutal extremes of summer or winter. The Sunset Inn is the place to stay on Sunset Beach! The honey-colored wood floors in the entrance and living area shine softly in the light that filters through the large windows. A simple but generous continental breakfast is served on a lace-covered table every morning from 8:15 until 10 AM. You may choose to have your morning meal in the living room or in the privacy of your own room. There are 14 rooms, each with a different theme and decor. 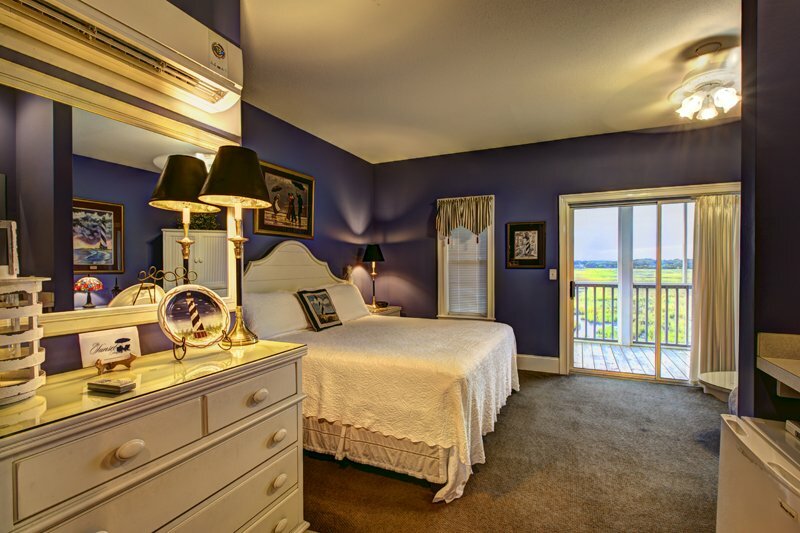 All rooms have a king-size bed, wet bar, refrigerator, love seat and private screened porch with rockers. The four grand rooms of our Sunset Beach Guest House each have a whirlpool tub plus a larger corner porch with rockers and porch swings, robes and iPod docks. 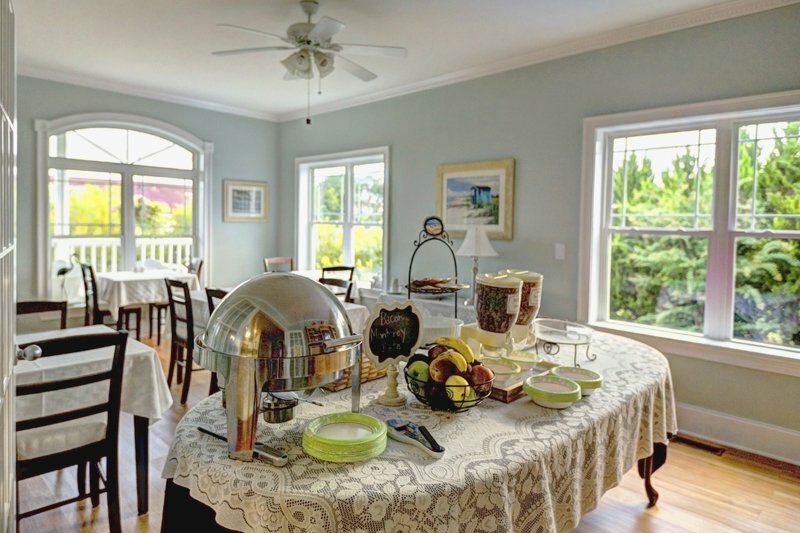 The Inn is much larger than your typical historic B&B but has the charm and quaintness of our smaller counterparts. We are unique and encourage you to visit and experience all that we have to offer. We have WiFi for all rooms and in our lobby/breakfast area. Want a book or movie? Our lobby/breakfast area has great books to choose from and a nice DVD selection. In season, you can rent two free movies at the Island Market. Our lobby is open until around 6:00 pm in the evenings depending on the time of year and 4:30 pm on Sundays. Our beautifully landscaped grounds offer yet another place to relax and enjoy the salt air. Rocking chairs and porch swings are plentiful for lazy lounging on our open decks.